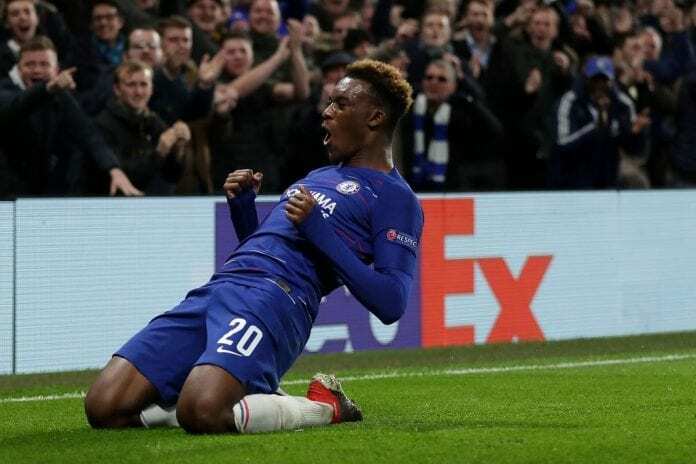 Karl-Heinz Rummenigge is hopeful that Bayern Munich will make an improved bid for Chelsea’s wonder boy Callum Hudson-Odoi. Bayern made several bids for the teenager in the January transfer window which was all rebuffed by the Chelsea hierarchy. This led to Hudson-Odoi submitting a transfer request that was rejected and equally angered the Blues boss Maurizio Sarri. But Bayern’s executive board chairman Rummenigge is optimistic they will sign the winger when the window re-opens. “I guess Hasan is a bit like [Bayern president] Uli [Hoeness],” Rummenigge disclosed in a quote cited on FourFourTwo. Bayern are bracing up for a future without Arjen Robben and Franck Ribery. However, Rummenigge feels their Bundesliga dominance will continue with Alphonso Davies and Benjamin Pavard set to bridge the gap. “I am not worried about Bayern’s future. We already have a good team which fights for the championship and we also will be fighting for it next year,” Rummenigge added. Bayern go to Bayer Leverkusen on Saturday with goalkeeper Manuel Neuer unable to make the trip due to a hand injury sustained in training. The champions have a six-point deficit to make up on league leaders Borussia Dortmund, but Rummenigge feels the title race will go the distance.